SLS and Cancer | Does Sodium Lauryl Sulfate Cause Cancer? One of the great talking points when it comes to health is how certain consumer products can directly or indirectly lead to the development of cancer. Some of these products may be edible, like diet sodas, while some are practical, such as Teflon coatings on cooking pans and pots. The promotion and rebuttal of these types of claims often get more publicity than the facts. 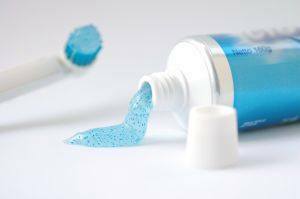 One such suggestion is the link between SLS and Cancer, a chemical that is found in many toothpastes, shampoos and soaps. While there has been much debate over the virtues of SLS, there has been no conclusive proof that it is definitively linked to cases of cancer. 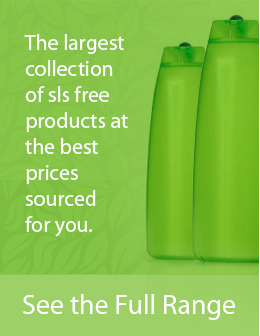 Where can you find Sodium Lauryl Sulfate? Quite a few places, no matter where you are shopping. Health and beauty products tend to use Sodium Lauryl Sulfate in order to provide an inexpensive base for their cleaning solutions. Since this compound is produced from palm trees, the commercial production of palm oil makes for an inexpensive cleaning agent that can be found in everything from bar soap to carpet shampoos. The overabundance of products that have SLS in their chemical makeup has created quite a stir among consumers, who worry that having multiple hygiene products containing this chemical will increase the risk of cancer. Different companies latched onto the myth that SLS can directly lead to cancer in order to promote their own products while demonizing their opposition. The promotion of cleaning products that do not contain sodium lauryl sulfate centers around marketing efforts based on health and safety. Information based websites appeared shortly after, speaking of the perils of SLS and warning families to avoid coming in contact with a potentially cancer-causing agent, providing large lists of products that contained the deadly chemical as well as products that were completely free of SLS. However the American Cancer Council does not support any of these claims. The accusation against SLS is that it bonds with the Formaldehyde used in cleaning solutions that allows for longer lifespan of fabrics and some organic material. In this bonding, it has been suggested that SLS creates Nitrosamines, a chemical that has proven links to Cancer. Since SLS has no nitrogen atoms (neither does Formaldehyde), there is no way for it to create the Nitrosamine chemical. Indeed, the American Cancer Society produced an article that discredits the link between Sodium Lauryl Sulfate and Cancer. (It must be said the article doesn’t contain actual lab results however). This is not to say that there are no health risks related with Sodium Lauryl Sulfate, even if the links between the chemical and Cancer are thin at best. Certain complications of the mouth, including sores, lesions, and even gum disease are speculated to have generated from an overabundance of SLS. Yet there is no conclusive proof of any connection to cancer, meaning that those who browse conspiracy websites in order to understand what is and is not safe would do well to not believe everything they read. Or at the very least they should conduct their own research. In summary while this website does recognize the health implications of SLS, there is no proof at this time that SLS can cause cancer. Note: If you are interested in cancer prevention, then you should read the book The Truth about Cancer.